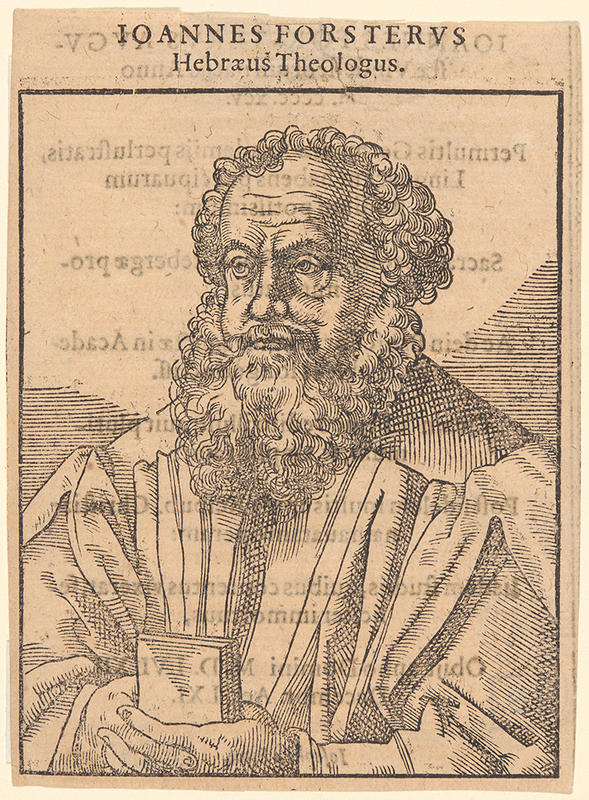 The image depicts Johannes Forster, who was a theologian in Wittenberg. Related Works: See DAC 1965.43.1.1 for the Cranach work after which this was made. Portrait of Johannes Forster, . Woodcut. DAC accession number 1965.43.1.2. Gift of Heinrich Schwarz (DAC Curator 1954–1972), 1965. Open Access Image from the Davison Art Center, Wesleyan University (photo: R. Lee). http://dac-collection.wesleyan.edu/obj13142 is a persistent link to this page with no user-session information.